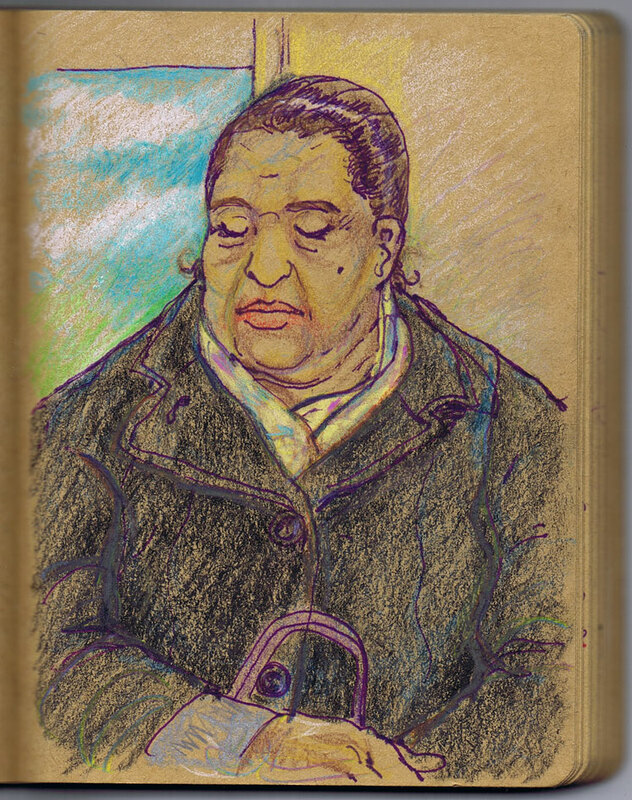 More Sketches done on trains and buses as far afield as the New Jersey/New York PATH and the London Overground (in particular Hampstead Heath to Richmond). I’m thinking of making some prints available of some of these. Let me know if you’re interested, either via email here or via my Twitter feed. People often ask if I’m ever going to make a book collection, too. Seems obvious, doesn’t it? When asked, it occurs to me that it’s one of those probabilities that will eventually somehow occur, but as with all things, it’s finding the time to make it happen.